Drilling Fluids, Chemicals, Greece, Attica | Metallourgia Mandras S.A.
METALLOURGIA MANDRAS S.A. is the leading supplier of Drilling Fluids products and Treating Chemicals. Our solutions are designed to help lower costs and maximize efficiencies. We can also custom blend chemicals to your exact specifications. Our high quality specialty chemicals and drilling fluid additives are produced in compliance with all environmental, health, and safety regulations. 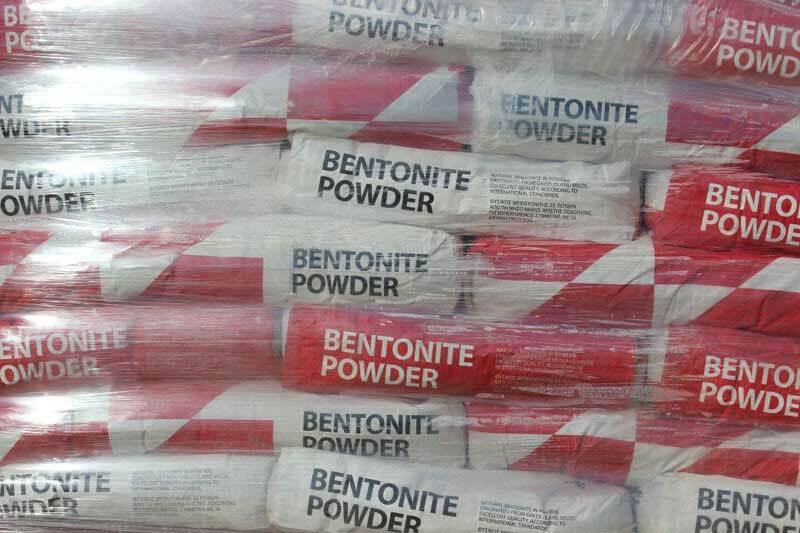 Bentonite is an absorbent aluminium phyllosilicate, impure clay consisting mostly of montmorillonite. Bentonite properties include the ability to expand to ten times its volume when completely hydrated. It creates a very viscous, slippery, almost gel-like slurry that acts as a lubricant. Lift soil/rock cuttings from the bottom of the borehole and carry them to a settling pit. Allow cuttings to drop out in the mud pit so that they are not re-circulated (influenced by mud thickness, flow rate in the settling pits and shape/size of the pits). Prevent cuttings from rapidly settling while another length of drill pipe is being added (if cuttings drop too fast, they can build-up on top of the bit and seize it in the hole). Create a film of small particles on the borehole wall to prevent caving and to ensure that the upward-flowing stream of drilling fluid does not erode the adjacent formation. Seal the borehole wall to reduce fluid loss (minimizing volumes of drilling fluid is especially important in dry areas where water must be carried from far away). 30Kg Bags, 50 bags per pallet. Αll pallets are plastic-wrapped. EMPIKOL ESB (MAΡΛON) is an ultra high yielding biodegradable, liquid foaming agent for use in Dry air rotary drilling or mixed with fresh or salt water for foam rotary drilling. Mixes easily in fresh or salt water. Provides a technique for drilling in environmentally sensitive areas. Improves the hole cleaning capability of the air stream and enhances the rate of cuttings removal. Reduces hydrostatic pressure and increases the lifting of large volumes of water. Counteracts the sticking tendencies of wet clays, thereby eliminating mud rings and Wall Packing. Reduces the erosion of poorly consolidated formations. Provides a technique for drilling in zones with lost circulation. Lubricates and cools the bit, improving penetration rate. Reduces the air ‐ volume requirement. Suppresses dust during air drilling operation. High quality, high expansion foam with a consistency similar to shaving foam. High stability with long half‐ life (retention time). Versatile and compatible with various types of make‐ up water. Reduces the potential for bit balling. Fast and efficient mixing in fresh and salt water. 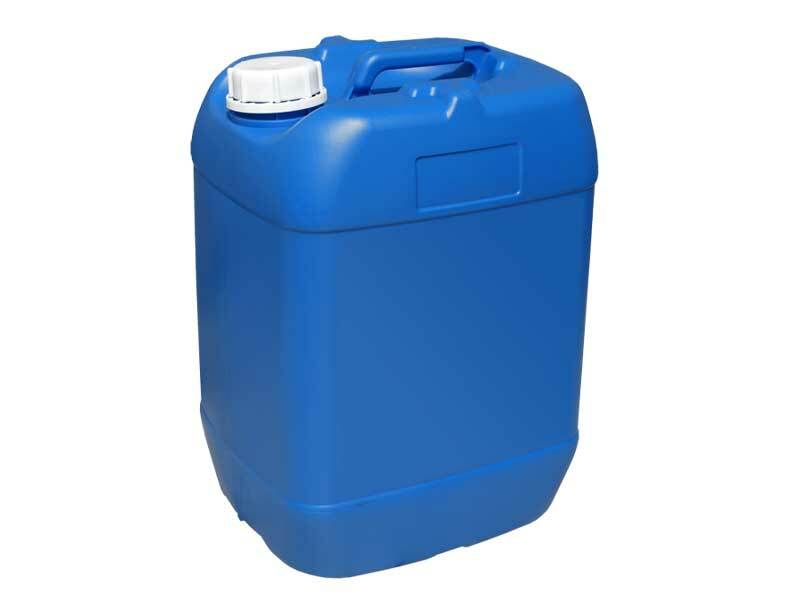 30 litre plastic drum or 1000 litre plastic tank. METALLOURGIA MANDRAS S.A. operates in the field of high quality steel, stainless steel and plastic pipes of small, medium and large diameter which are used in drilling and water resource projects. Our company is subject to all European standards (ISO 9001:2015) in production and planning trying to meet the challenges of the Greek and International market. Long-term successful cooperation with major Greek and International firms ensures to METALLOURGIA MANDRAS S.A. best prices and availability of raw material allowing thus the implementation in its production line. Mondary to Friday from 07:30 a.m. to 5:00 p.m. Saturday from 07:30 a.m. to 2:30 p.m.